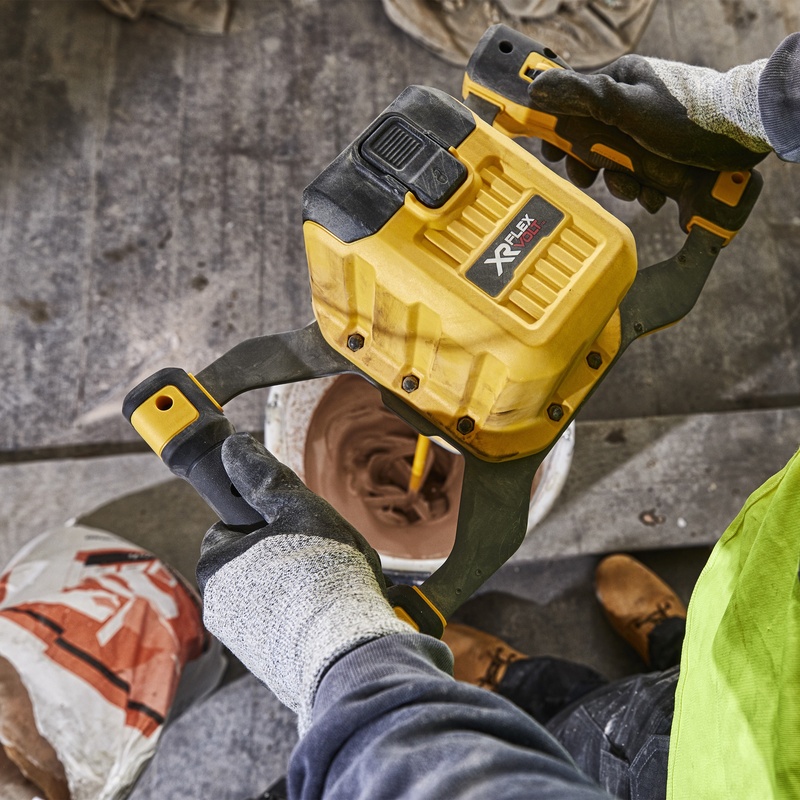 DeWALT’s 54v XR FlexVolt range has lead the way in the industry for high quality cordless products, creating increasingly more cordless work sites. 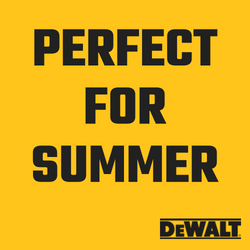 DeWALT has hit the ground running this year, introducing new products to the range and continuing to change the face of the cordless market. Another world-first from DeWALT, this compressor makes pneumatic nailing completely cordless – yes, cordless! 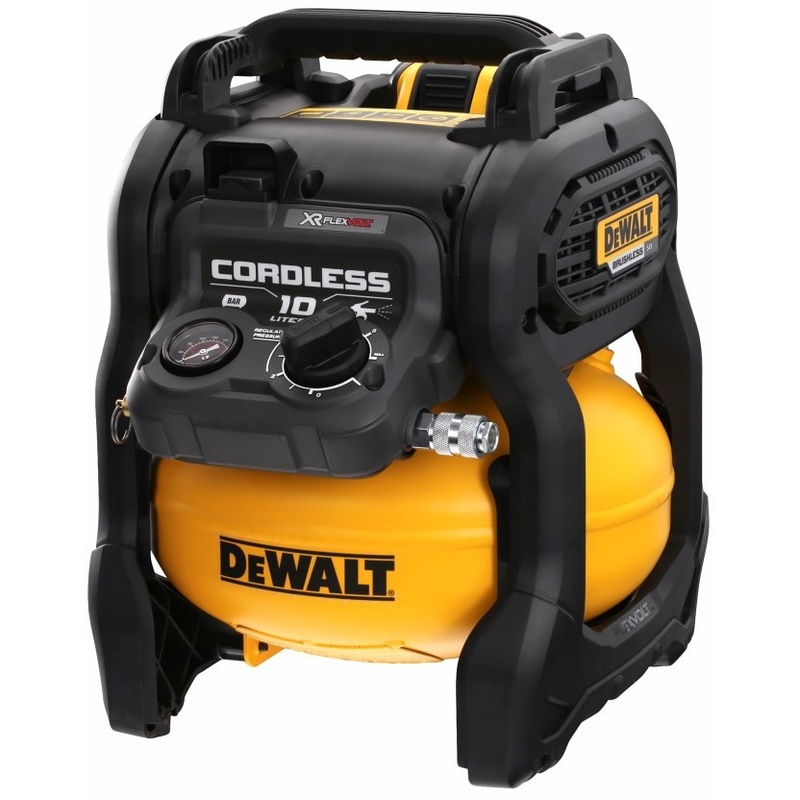 With a 10 Litre capacity, this compressor is lightweight, making it perfect for busy tradesmen. 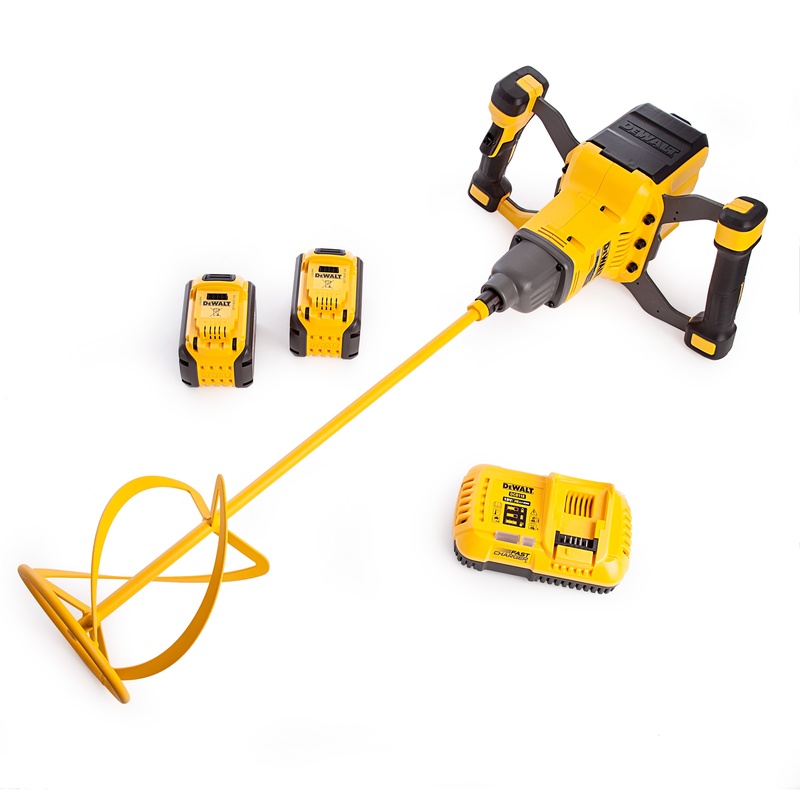 This cordless paddle mixer will allow you to carry out multiple mixes in one day without running out of juice. The dual handles and ergonomic design provides good comfort and control and the variable speed settings allow it to be used across a range of materials. 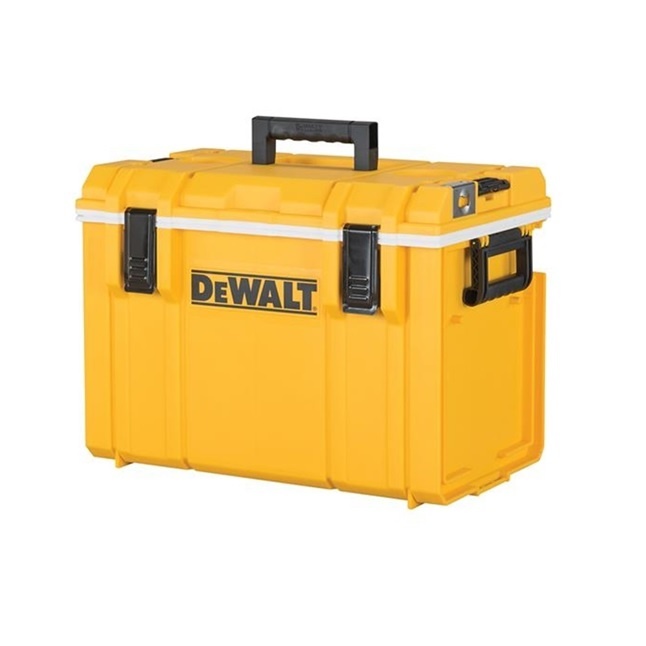 The DCD240x2 comes with 2 x 9.0Ah XR FLEXVOLT Li-Ion battery pack, XR fast charger and a heavy duty bag. 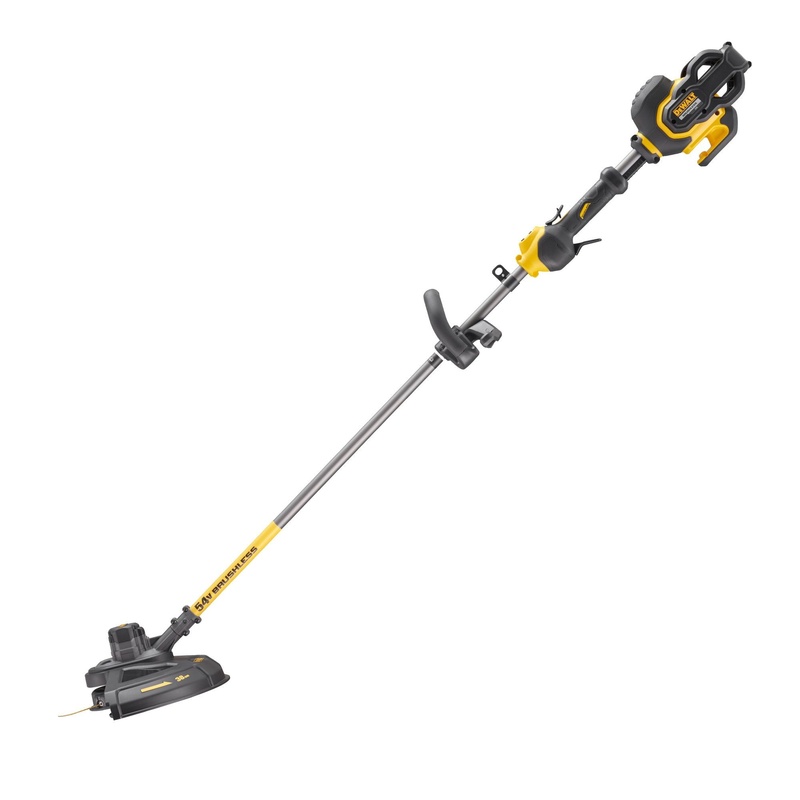 This fast cutting trimmer will make light work of large gardens and areas with its 38cm cutting swath. This unit is also supplied with 2.00mm twisted line for efficient cutting. The DCM5713N is supplied as body-only, but the DCM5713x1 is supplied with 1 x 54v battery and an 8A charger. DeWALT isn’t just thinking about construction professionals in 2018. 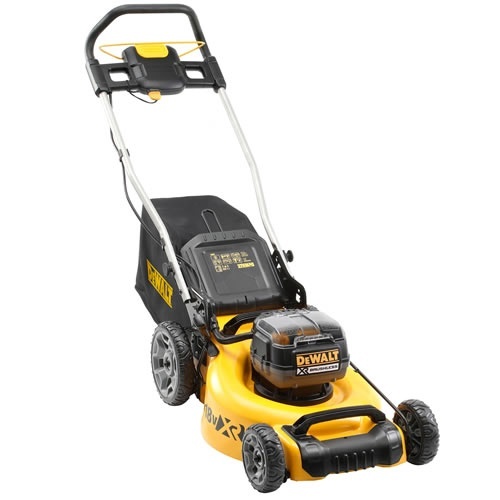 This highly-efficient mower runs with 2x18v DeWALT XR batteries which in turn delivers 36V of power. Its 51cm metal deck makes it suitable for lawn areas up to 800m2. The DCMW564N is supplies body-only, but the DCMW564P2 is supplied with 2x18v 5Ah batteries and an 8A fast charger. 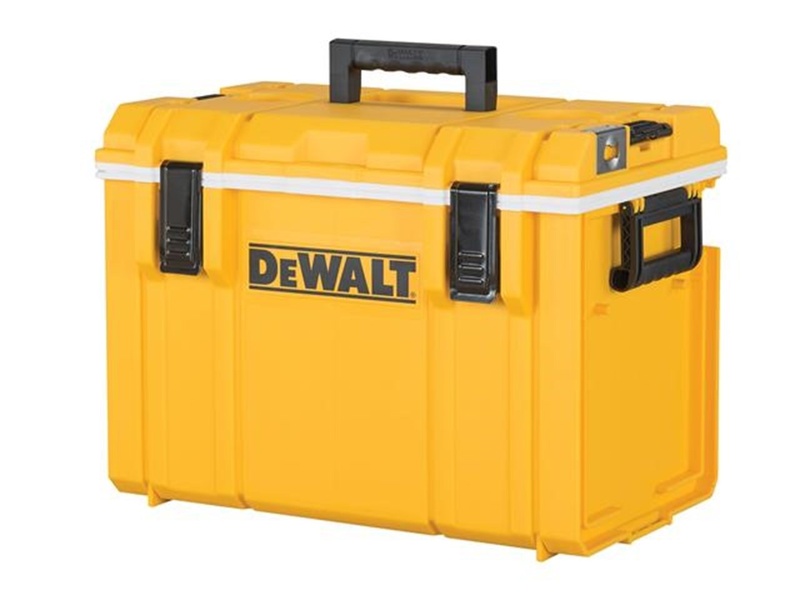 DeWALT has jobsites covered for summer this year with their 50kg capacity (25.5L of refreshments) cooler box. Made using commercial grade PU foam insulation, ice can last up to five whole days making it perfect for sites with limited access to fridges/freezers.